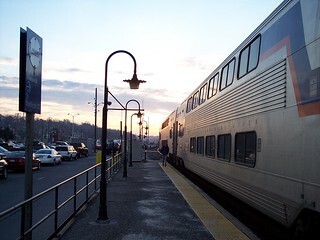 We changed trains in Brunswick. 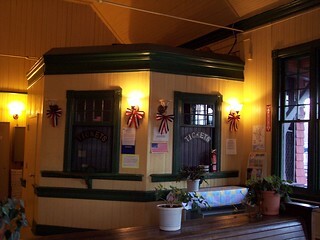 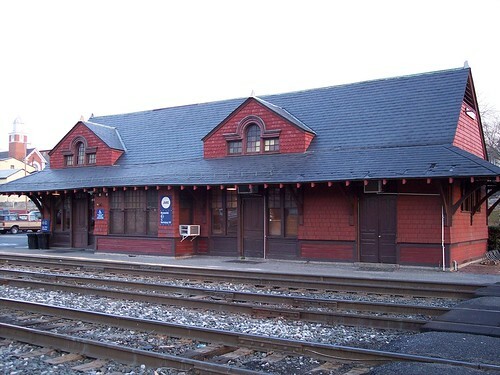 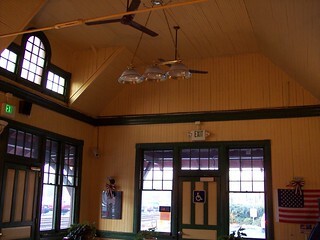 This is the track side of the old station. 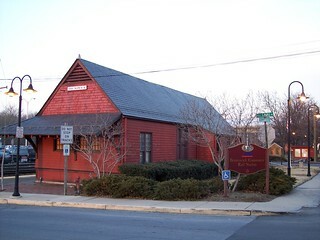 Views of the station from the street. 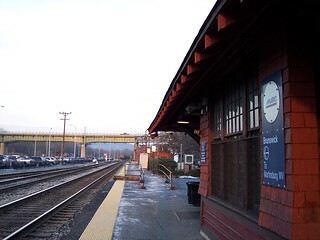 The platform next to the station building, which I think is only used for westbound trains. 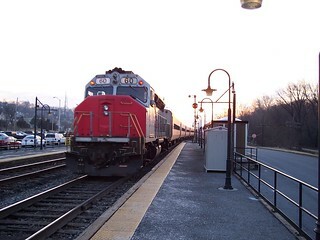 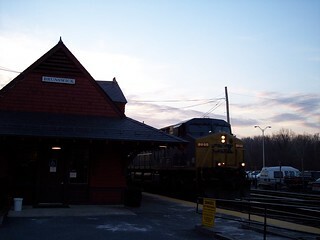 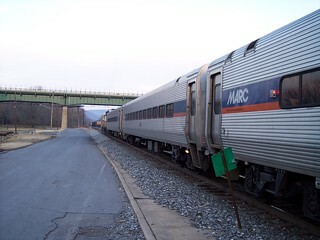 A westbound CSX freight rumbles past the station in the picture on the right. 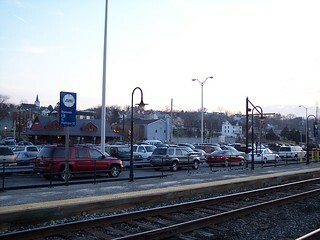 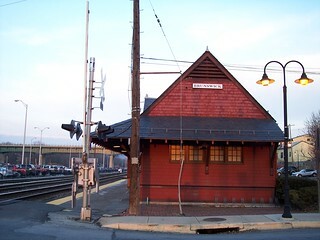 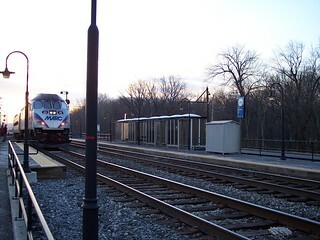 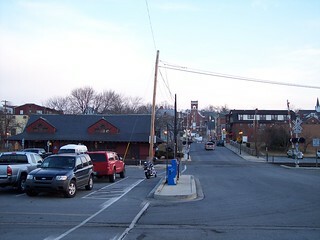 The station and neighboring town as seen from the parking lot and eastbound platform.